Most people think about emergency locksmiths when they are stranded outside their home, office or their car, without their key and having no access to get inside the premise or their car. One of the most important parts of locksmiths’ job is tending emergency service to clients, 24×7, when they are in dire need of key replacement or key repair, or unlocking of a car or home doors. Suppose you are coming back from a long holiday and reach your place during night time, only to find out that your home keys are with a friend or relative living at a far distance from you, or have you’re your keys somewhere. You call up emergency locksmiths, and they reach as immediately as possible to your home, and unlock your door, and provide you with a duplicate key for future use. Imagine, you have are leaving your office late at night and find that your keys are damaged, or not working, or have been left in the office and it has been closed. Whom you turn to for help? Emergency car locksmiths! They will reach at your destination speedily and unlock your car door, or provide you with car key repair instantly. There are several instances when people accidentally leave their car key inside the vehicle, with doors closed. They cannot wait for the duplicate key to arrive from your home, so instead, they just call an emergency auto locksmith for an instant and reliable solution, efficiently. While navigating to your office, or when going to attend an important meeting, suddenly your car ignition key fails to work and you are stranded on the middle of the road. Emergency locksmiths value your time and know how distressing such situation can be, and thus offer quality service in quick response time to help you not get late. There can be situations when a business owner finds that his/her premise has been broken into, and it is in immediate need of more secured and safe security system and locks. Emergency locksmith service providers are highly proficient and knowledgeable, providing best quality lock service for the property to enhance the overall security, along with providing insightful advice for the future. 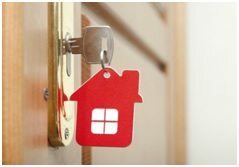 Apart from these situations, there can be several similar other situations pertaining to your car, home or business premise, when you require high quality, reliable and immediate service from locksmiths to cater to your key replacement, duplicate key, key repair, transponder key and other such services. They are highly professional in their service and provide complete assistance to the clients, safeguarding their asset, as well as saving their time and efforts.